Going vegetarian or vegan with your lifestyle is not always easy. But just because you are going in that direction with your diet, it does not mean you can’t enjoy delicious meals on a daily basis. 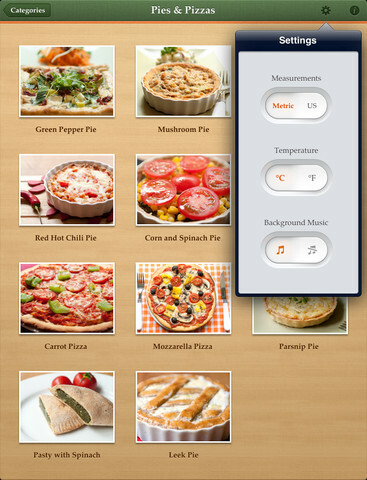 Veggie Meals is an attractive iPad app that brings 55 easy to cook veggie recipes to your kitchen. These recipes are bundled with images and clear descriptions to take the guesswork out of the process. Veggie Meals includes salads, soups, pasta, burgers, and many other delicious meals. 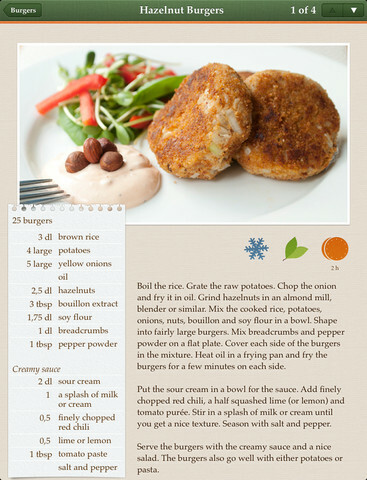 Each recipe has detailed information on what you need to do to prepare your meal. It also gives you a breakdown of ingredients used in your food (to give you peace of mind). Users have the option to change measurement and temperature units. I was quite impressed with the quality of the recipes included in the app. They are not that hard to prepare and the instructions are fairly clear. We would love more recipes to be included in the app though. Being able to substitute certain ingredients in these recipes would be nice too. Veggie Meals does have a lot of potential.